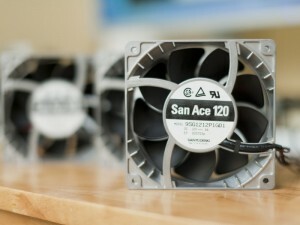 I’m sure that most hardware enthusiasts are no strangers to dalliances with DIY, whether it be case modding, component modding, or custom cooling. 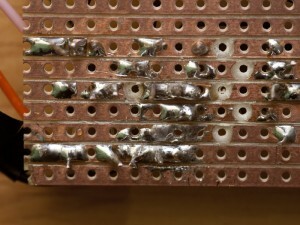 However, when it comes to building parts of your computer from scratch, the tally of enthusiasts who can claim this prestige most certainly diminishes. 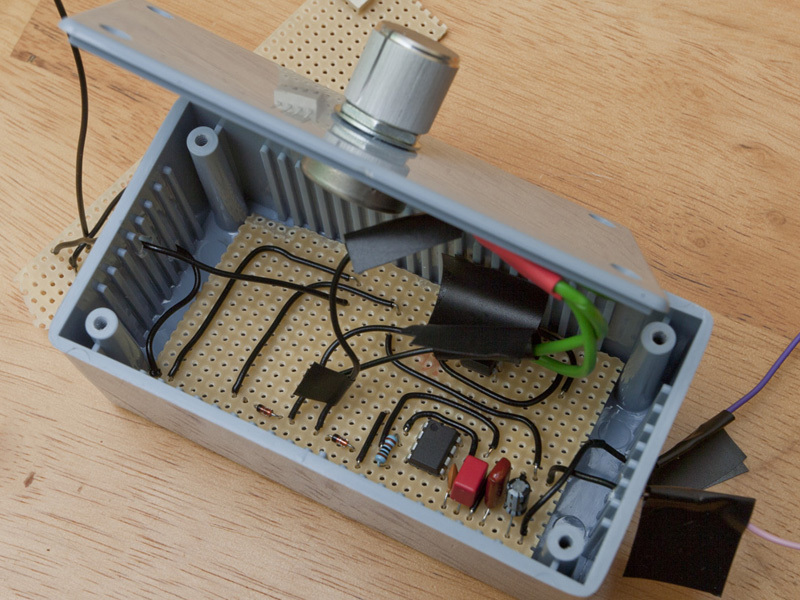 Fortunately this neat fan controller project requires only a little time, expense, and commitment, and the circuit is relatively easy to build and very satisfying to use! 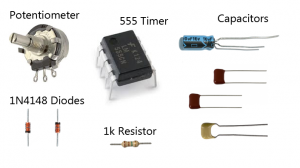 First Things First…What is PWM? 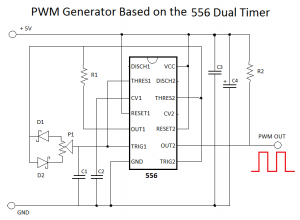 PWM stands for Pulse Width Modulation and is, among other things, a very clever means of controlling power to electrical devices: in our case a DC (direct current) fan motor. 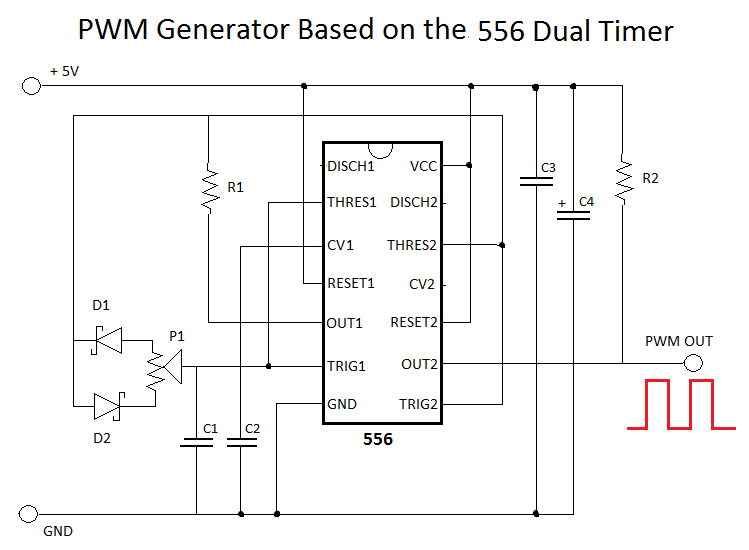 Although you don’t need to understand the ins and outs of PWM, it helps to have an rough idea about how PWM works, so here’s a very quick explanation. 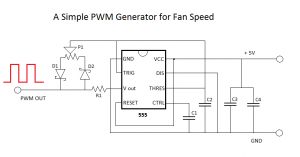 Pulse-width modulation of DC operating voltage to modify fan speed is not recommended. 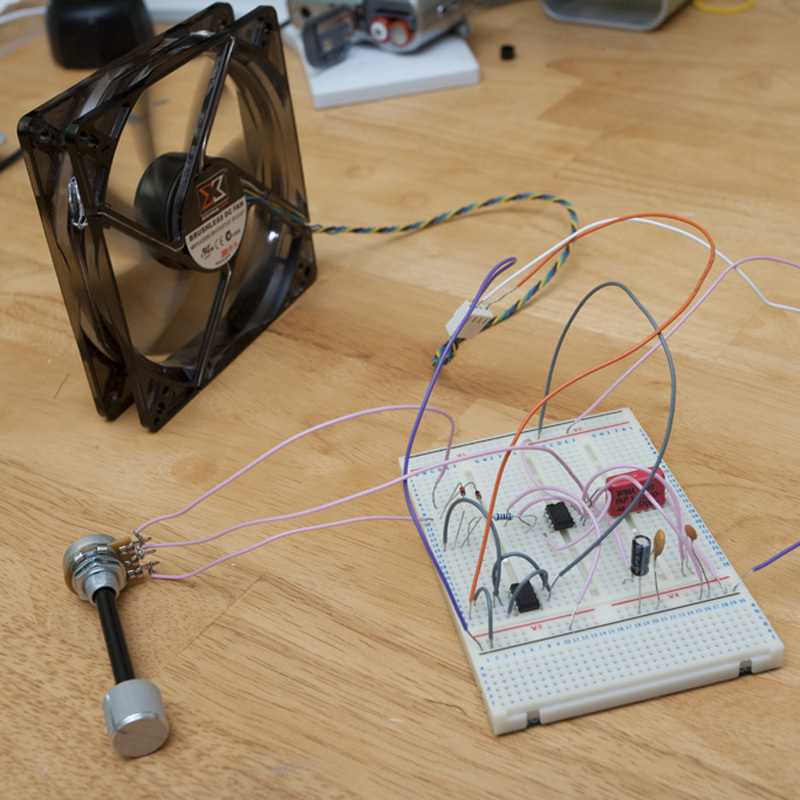 Transients generated by that approach can irreversibly damage motor commutation and control electronics and dramatically shorten the life of a fan. 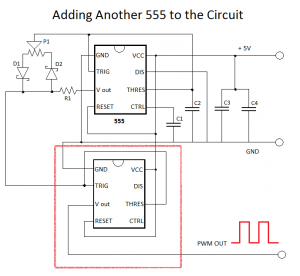 Plan your circuit on a piece of paper, familiarizing yourself with each component (learn what it looks like and what it does) and the layout of the circuit, and taking time to arrange it in such a way that it is clean and clear. 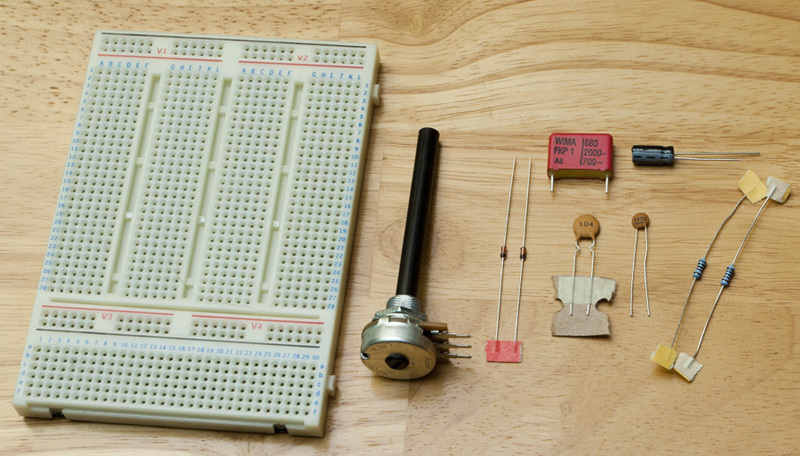 Working from your plan, carefully assemble the circuit on a breadboard. Check and re-check all the connections. 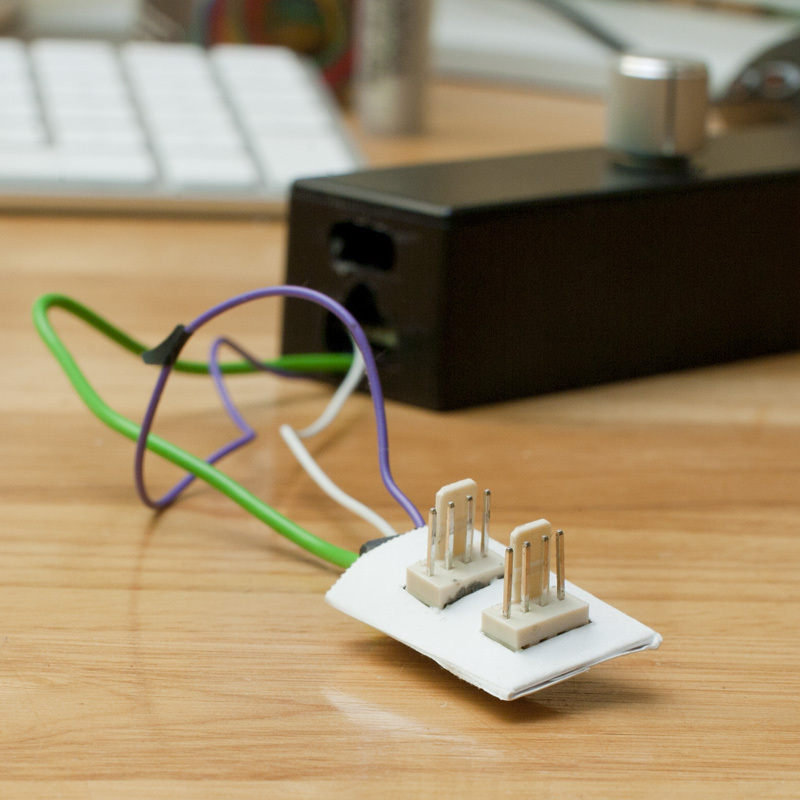 Connect the circuit to a power source – preferably a spare power supply that is not hooked up to a PC – and check to see if it works. Debug (identify problems and deal with them) if necessary. 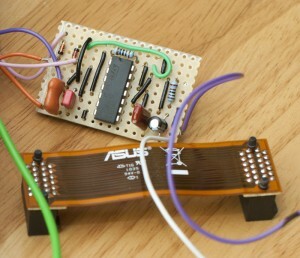 Again referring to your circuit plan, assemble the circuit on stripboard. Work on the presentation of your controller – eg., put it in a project box or into a drive bay. So, now you know what each component looks like. 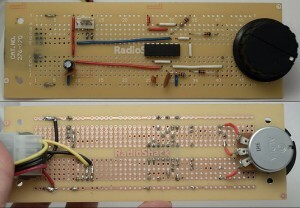 Once you have your components arranged spaciously on an uncluttered flat surface (as above), get your breadboard ready! Take your time and keep your work area uncluttered. Make sure your hands and fingers are clean before you start. 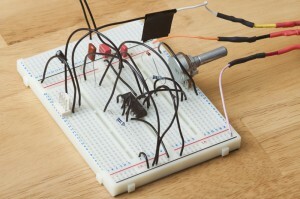 Use single-core wire for good connections to the breadboard tracks. Leave some room around each connection/component to reduce the risk of shorting. Remember to firmly press (but not force) the components and wires into place. The reason this step is so important is that you are checking the connections solely with the power of observation; the breadboard should not be connected to a power source yet, and it is crucial that you carefully check each connection before the circuit gets anywhere near live wires. 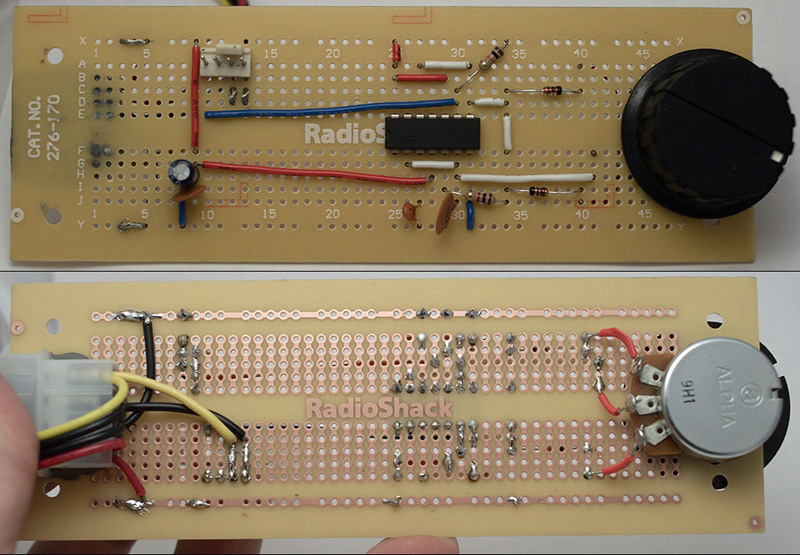 Breadboarding done and testing in progress! 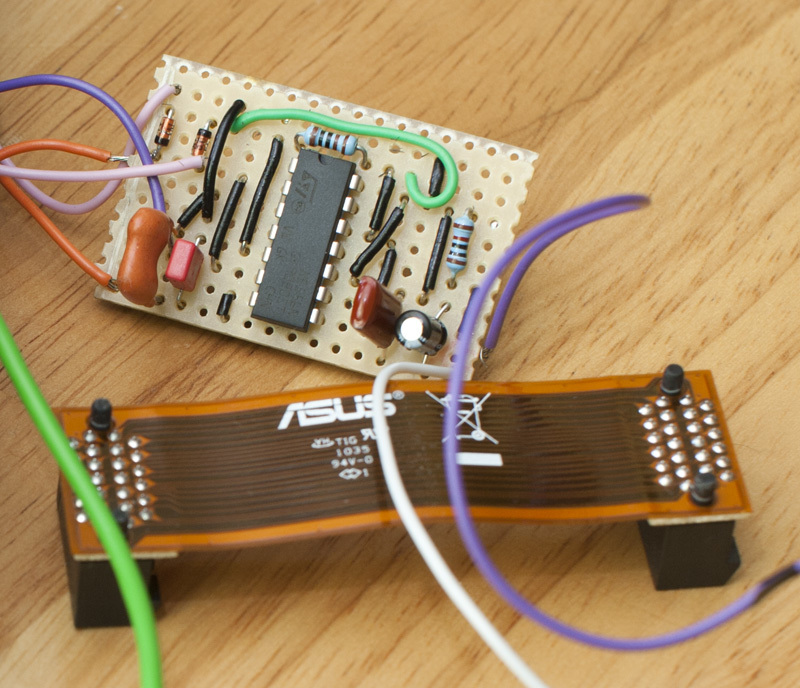 Connecting the breadboard to a live power source is, and always should be, the last thing you do (especially if you are a n00b, like me). It is also advisable to use a spare/unconnected power supply, because if you happen to be so unfortunate as to cause a short circuit using the PSU that is connected to your computer, it may seriously damage the PSU and/or one of your PC components. I can attest to this – my first attempt at a fan controller some weeks ago fried my treasured £300 Foxconn motherboard. The PSU is fine (and has survived at least three further short circuits), however my experience tells me that even a good PSU like mine which has commendable SCP (short circuit protection) doesn’t guarantee the well-being of your components. You have been warned! 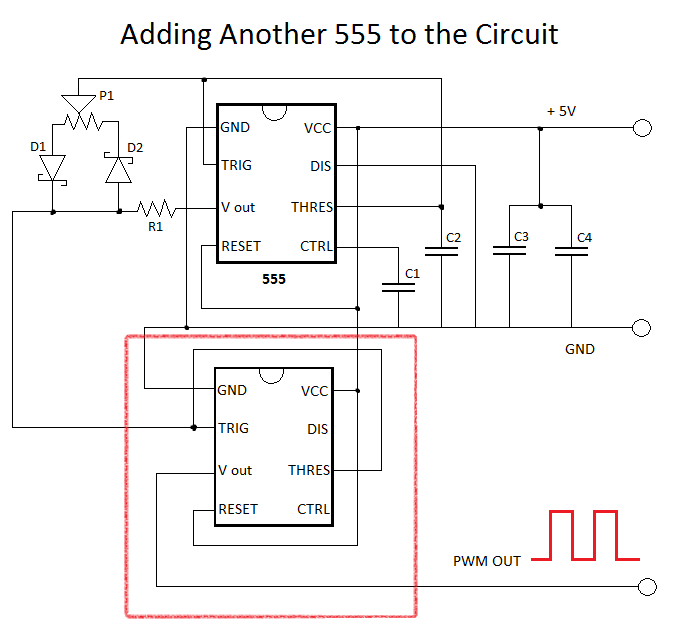 And remember: This circuit uses 5v, NOT 12v. Circuits generally don’t work the first time around, so be patient and acknowledge that you will probably have to do some debugging somewhere along the line. It’s not a big deal, and although it may involve a fair bit of work, don’t worry about it – I had to debug my circuit (and in some ways I am still debugging it), and I had the overclockers.com forum community helping me every step of the way as I’m sure they will help anybody else who seeks assistance. 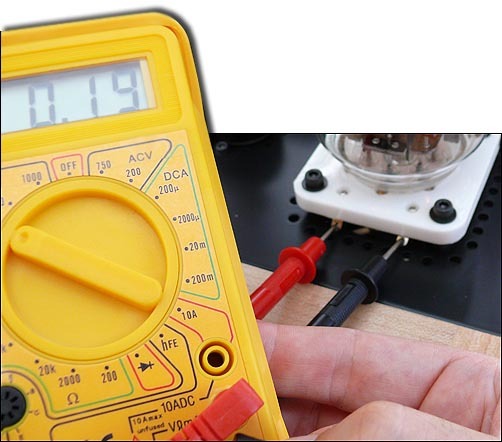 To make your life is a lot easier, get a digital multimeter if you don’t already have one. When the time comes to make a proper circuit using scary grown-up tools like a soldering iron and a pair of wire cutters, it is definitely worth your while planning the layout of your circuit once again and trying to make it as compact as you can. If you have space on your stripboard you might want to consider soldering a 4-pin fan header onto it to keep the controller tidy and practical. As it is, the circuit should work well with most if not all PWM fans that you are likely to find in a hardware enthusiast’s box of tricks. 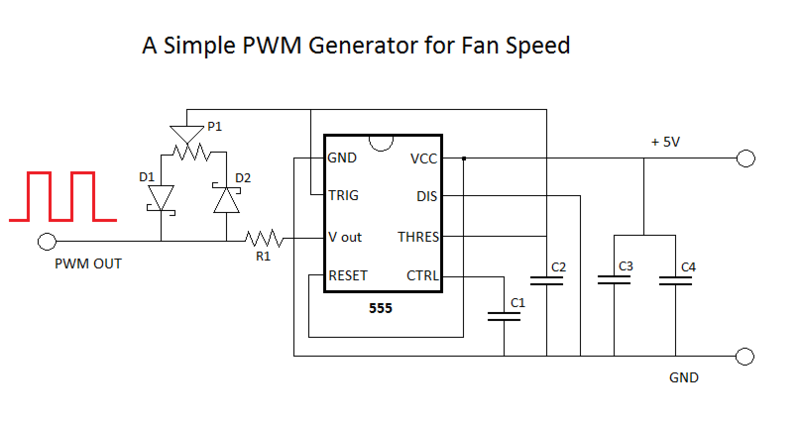 If, however, like me (and a few others) you want to engage in some turbulent tomfoolery with ludicrously powerful 12VDC fans (see below), you will need to boost the PWM signal or create a different PWM generator altogether which uses a 556 timer instead of a 555. The circuits described below are featured in this exciting thread at overclockers.com forums. 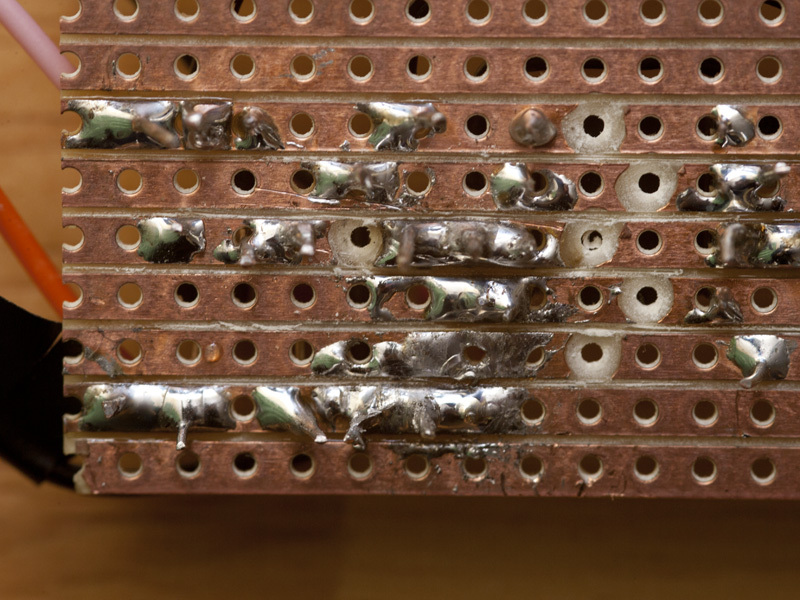 First and foremost, make sure you take your time if you decide to build this (or any other) circuit for use with your system – working with electricity is hazardous (and if not for you, certainly for your hardware!) so be careful. I’ve shorted my PC (yes, my entire system) no fewer than FOUR TIMES since I started messing around with DIY fan controllers, and unfortunately one of these shorts fried my prized Foxconn X58 motherboard. Suffice to say, I have been more cautious since. Primarily I’d like to thank I.M.O.G. for playing such an important role in my PWM fan projects (he organized the purchase and international shipping of the San Ace fans for me – top dude!) and for giving me the opportunity to write this article. I’d also like to thank Brutal-Force for his videos and his thread which inspired me to make a PWM fan controller in the first instance, and resident electronics expert, bing, who freely shared his electronic expertise and offered valuable assistance throughout the learning process. Awesome article, I may have to build one of those! Damn, those fans are loud!! Dave, really happy to see this article on the frontpage - great read, very clear, and a cool project spawned out of the forums. Getting the fans to you was no problem, and I'd be happy to do it again anytime! Thanks for putting this together! Awesome, thanks for putting this into words. Many people can benefit from this write up. Hell yeah... Great write up. 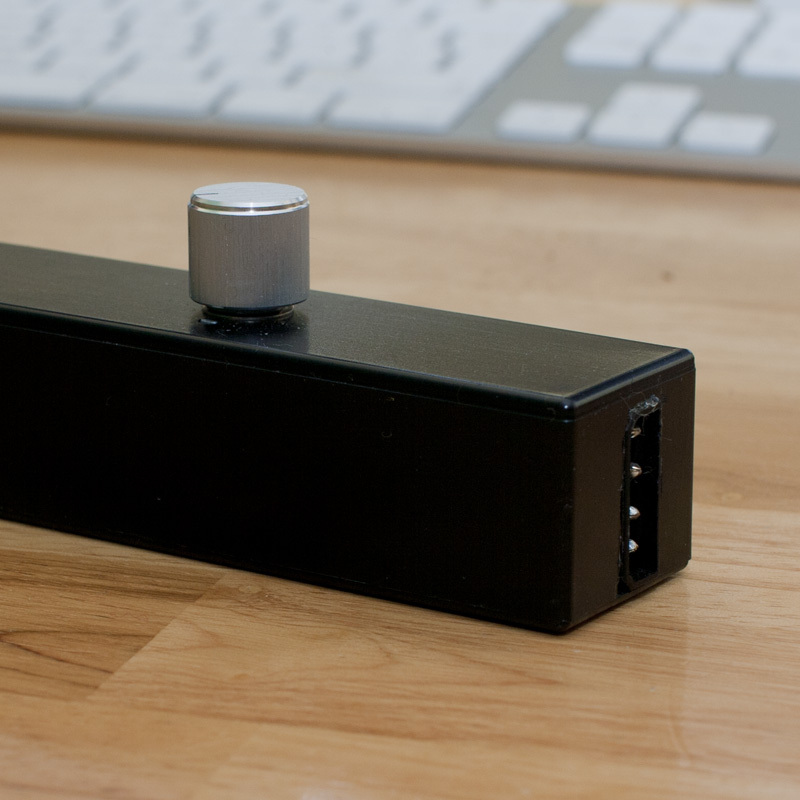 I'm sure there will be plenty more controllers built because of this; I, for one, am going to be putting my bread-boarded controller down on perf-board pretty soon. And once the first one is all done there will be a few more coming behind it. Nice write up! Glad to learn how to build these things. Those fans are insane... i need a few to build a hovercraft with! Paul - thanks, and it's nice to see somebody else putting Dundee on the map!! Is it possible to replace the manual control with a thermistor and let the temperature control the fan speed? (with a rheostat as an adjustment). haven't been able to find such a circuit anywhere :( and commercial offerings are way too expensive. I should think that would be possible. 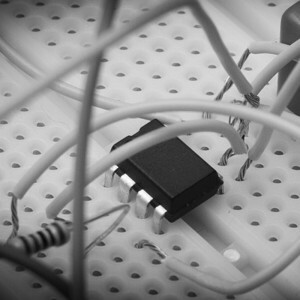 Option (1) involves soldering your thermistor after or before P1. Option (2) would be a matter of soldering the thermistor in parallel with potentiometer / rheostat R1. It would be possible, but I think your dealing with two kinds of temperatures. One inside the case and the temperature of the CPU Cores. Since you could only go off of the core temperatures for your CPU, you would have to tap those temps from the Motherboard. In that case a lot of the newer motherboards use PWM to control their fan circuits, especially the higher end ones. The problem (you will find out if you read my whole thread) is with the stepping of those PWM circuits. This is where this controller comes in. In all honesty, you really only need about 3 or 4 speeds for this fan. Low/Med/High would work in almost all cases, except that different fans at this speed exhibit noises that can only be eliminated if you turn them up or down ~50 RPMs. In essence your are tuning them. 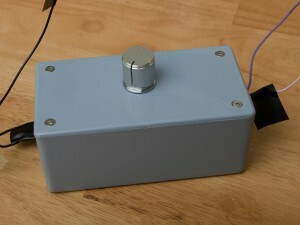 It would be too much work to try to tune a 3 speed controller. I run my fan daily at about 900 RPMs. I turn it up to about 2000 while gaming and then I turn it to 6000 while benching. All of these are +/- 50-100 rpms. You just can't do that with switches. Well actually, you could... on a non PWM, but then you would deal with Undervolting which would also produce annoying noises. Just came out of my mind on one simple thing, Lenny, how many fans maximum that controller capable of driving ? Ever tested 4 of that beasts altogether ? This is interesting since as original circuit without the booster (inv sch buffer) couldn't drive even one as Brutal experience. I'll get round to it soon bing. Problem with four fans is the enormous power draw of nearly 200 watts and 14-16 amps. I think I'll buy a cheap PSU specifically for testing the fans - don't want to short my system again! !